Easy Gourmet Recipes: Turning Simple Plates Into Signature Dishes. Appetizers and snacks at cocktail hour are usually heavy on carbs and fats - offer your guests a refreshing change with tart, tangy, crisp, spicy apple slices dusted with Red Cayenne Salt. The heat and salt bring out the best of the apple, and treating it with a dash of lime juice prevents browning while also cutting the spiciness. Slice limes into small wedges. Slice apples lengthwise into four large pieces, and discard cores. Thinly cut pieces into slices around 1/8th of an inch. 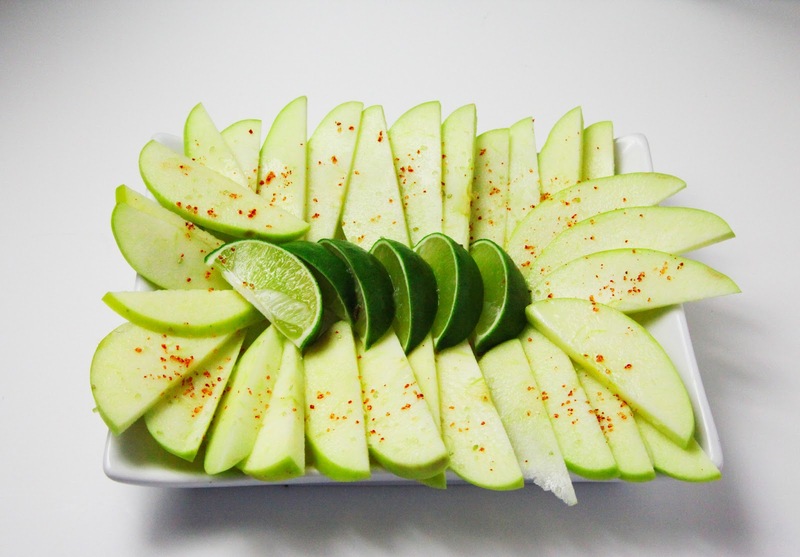 Arrange slices on serving plate and squeeze on the lime juice - this will slow the natural discoloration. Sprinkle with Red Cayenne Salt and serve. If you're preparing in advance, cover with saran warp and refrigerate - they'll keep their color for a few hours if properly treated with lime juice, and this snack is delicious cold.